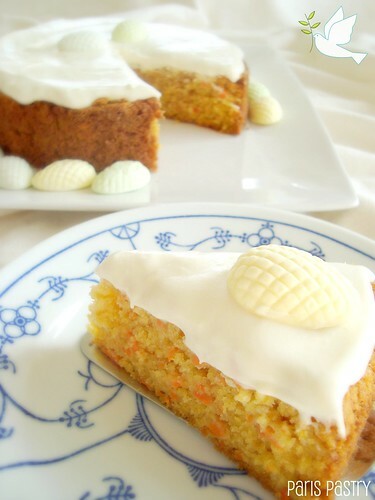 Carrots have been used in sweet cakes since the medieval period, during which time sweeteners were scarce and expensive, while carrots, which contain more sugar than any other vegetable besides the sugar beet, were much easier to come by and were used to make sweet desserts. 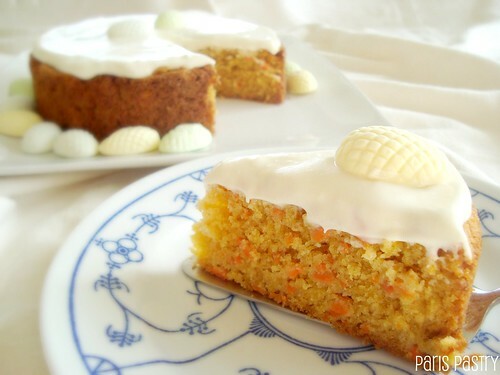 The origins of the carrot cake are disputed but it is thought to come from Sweden, where it is called a morotskaka. I personally like a carrot cake to be light, not too spiced and not very nutty. And this cake is just that. A simple recipe that doesn't require you to go out and find shredded coconut, crushed pineapples, fresh ginger, or any of that sort. Dare I say it, the best carrot cake I've ever had. The only thing missing from this light dessert is a guilty conscience. Rating: 5 out 5. - Preheat oven to 350 degrees. Butter a 9-inch (5-cup) trois freres mold or Bundt pan. Dust with flour, and tap out excess. Put butter and brown sugar into the bowl of an electric mixer fitted with the paddle attachment. Mix on medium-high speed until pale and fluffy, about 3 minutes. - Add eggs, one at a time, mixing well after each addition. Add vanilla and carrots, and mix until just combined. Reduce speed to low. Add flour, baking powder, baking soda, salt and cinnamon. Mix until just combined. Stir in walnuts. - Pour batter into the prepared mold. Bake until a cake tester inserted into center comes out clean, about 30 minutes. Let cool in pan on a wire rack 15 minutes. Turn out cake onto rack, and let cool completely. Before serving, dust with confectioners' sugar. Cake can be stored in an airtight container at room temperature up to 3 days. - In a small bowl, on the medium speed of an electric mixer, beat the cream cheese and butter until smooth. Add the vanilla and beat well. Gradually add the confectioners' sugar, beating continously until smooth and creamy. I had no idea that carrot cake came from Sweden. Actually, I don't think I've ever really thought about it, haha. 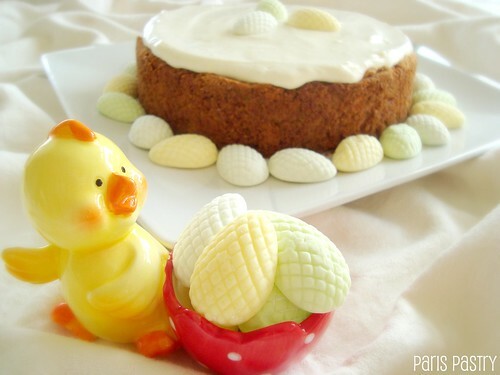 This cake looks very adorable and festive fir Easter. You did it again. 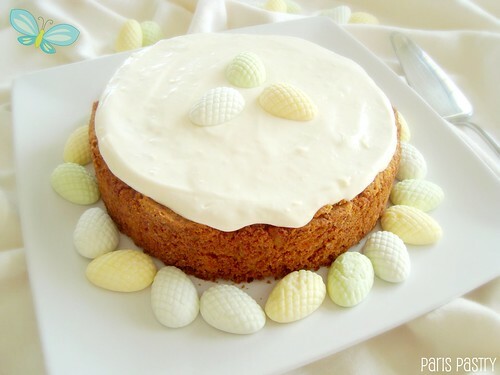 I love carrot cake! Be still my heart, I mean, stomach. Somehow I always felt that carrot cakes are heavy on the stomach. Definitely one for me to make - looks delicious and moist too.